There are new vulnerabilities that have come out for Quicktime that Apple will not patch. This means that Quicktime is no longer safe to use. The best solution is to uninstall Quicktime and use something else to play your videos. Here are some instructions on how to uninstall Quicktime. Left click on the Start Menu and choose Control Panel. If the view is set to Category mode, left click Uninstall a program under the Programs section. If the view is set to Small or Large Icons mode, left click Programs and Features. Scroll through the list of programs until you find Quicktime. Right click on the Quicktime entry and left click Uninstall. Right click on the Start Menu and choose Control Panel. 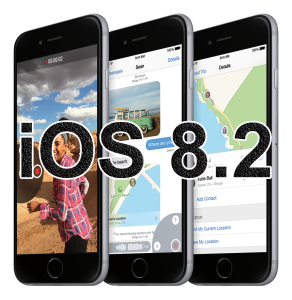 Last week Apple released an update (iOS 8.2) to their iPhone/iPad operating system. Besides fixing numerous issues including the FREAK vulnerability, it also adds support for the upcoming Apple Watch. To install the update directly from your device, go into Settings –> General –> Software Update. Once you install it, you may notice a new icon on your device called Apple Watch. If you have no plans on getting the Apple Watch, you may be wondering how to get rid of the app. While you can’t delete the app, you can move it into a folder so it is out of the way. For a full list of all the fixes in this update, please check out the Apple support document. For the past 3 or 4 months, my 2011 Macbook Pro started exhibiting strange behavior. Sometimes the computer would lock up on me, other times I would see lines or distorted graphics on the screen. Recently it got so bad the computer would not even start up. Very frustrating to see it fail when you spent several thousand of dollars on it just a few years ago. The issue appears to be the discrete graphics chip was not properly soldered to the motherboard and over time the connection becomes brittle and fails. 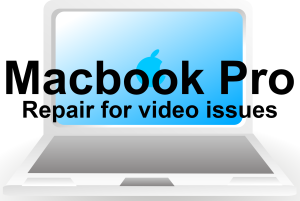 One website has extensive information on the issue and various ways to contact Apple. If you have already paid to have this issue fixed, you can contact Apple for a reimbursement. I have started the return process and I am currently waiting for the prepaid shipping box to arrive. Once my machine has been fixed, I will update this post. Has anyone else experienced this issue on their Macbook Pro? Were you able to get it fixed? Let me know in the comments below. Apple released iOS 7.1 this week (3/10/2014) for the iPhone 4 or later, iPad 2 or later, iPad mini or later and iPod touch (5th generation). This free update can be downloaded by going to Settings –> General –> Software Update. This is a big update which required 1.9GB of free space on my iPhone and iPad before it would download and install. -When you have the messages app open and get a text, it gives you a quick buzz to let you know you have a new message. -The wallpaper dims slightly to make the apps and text on the home screen easier to read. -If you have images stored for your contacts, they no longer appear full screen when someone calls you. They are now located in a small circle at the top of the screen. -Speaking of small circles… The Call, Accept and Decline rectangular phone buttons have turned into circles. -For those who share their phone with little ones, there is a new warning screen when buying in-app purchases that lets you know that you have 15 minutes where you won’t need to enter a password to buy an in-app item. -The keyboard displays in all caps whether or not you have the shift key enable. -There is an option to bold the text in various screens which I find makes a big difference. (Settings –> General –> Accessibility –> Bold Text) Note: This will automatically reboot your phone to make the changes. Have you downloaded iOS 7.1 on your devices? If so, what do you like or dislike about the update? Post your responses in the comment section below.